Innovative Performance Chip/Power Programmer for Ford F-150 2.7L, 3.5L, 3.7L, 4.2L, 4.6L, 4.9L, 5.0L, 5.4L, 5.8L and 6.2L - Improve Fuel Mileage, Increase Horsepower & Torque with this Engine Tuner! 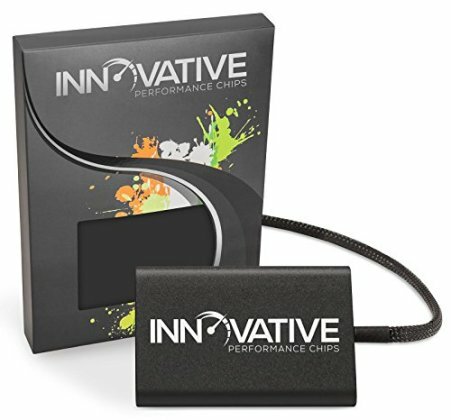 Boost your Ford F-150's horsepower, torque, throttle response and fuel economy with the advanced Innovative Performance Chip! Safely gain up to +35 HP and up to +5 MPG in fuel mileage in your Ford F-150 by safely optimizing your air/fuel ratio and timing curve for increased efficiency! Easily installs in less than 10 minutes, with absolutely no mechanical experience required! All Ford F-150 performance chips come with an installation kit, including detailed installation instructions with easy to follow step-by-step pictures! Makes NO permanent changes to your Ford F-150's computer! It will not void your Ford factory warranty, and it's completely emissions safe. The performance chip is fully compatible with all trims, including 2WD, 4X4, Base, EcoBoost, Eddie Bauer, FX2, FX4, Harley-Davidson Edition, Heritage, King Ranch, Lariat, Lightning, Limited, Platinum, STX, SVT Lightning, SVT Raptor, Special, XL, XLT, XLT Lariat & XTR models with 2.7L, 3.5L, 3.7L, 4.2L, 4.6L, 4.9L, 5.0L, 5.4L, 5.8L and 6.2L engines. We strived to create the most high quality product in every aspect, delivering you the most affordable product without sacrificing quality. All Ford F-150 performance chips feature a high-end aluminum enclosure with an extremely durable, high quality anodized finish. It's a thousand tiny details that add up to something big. All Ford F-150 performance chips are proudly backed by our unmatched 100% Money-Back Guarantee & Lifetime Warranty!